A beginners guide to spiritual and psychic awareness. You will be guided through a gentle relaxation programme, and into the grounding and protection techniques used for spiritual and psychic awareness, then taught how to open 4 of your Chakras. A guided meditation will lead you on a journey to experience consciousness on a different level. When your journey is concluded, you will then be guided back to the physical and taught how to close the Chakra's that you have opened. 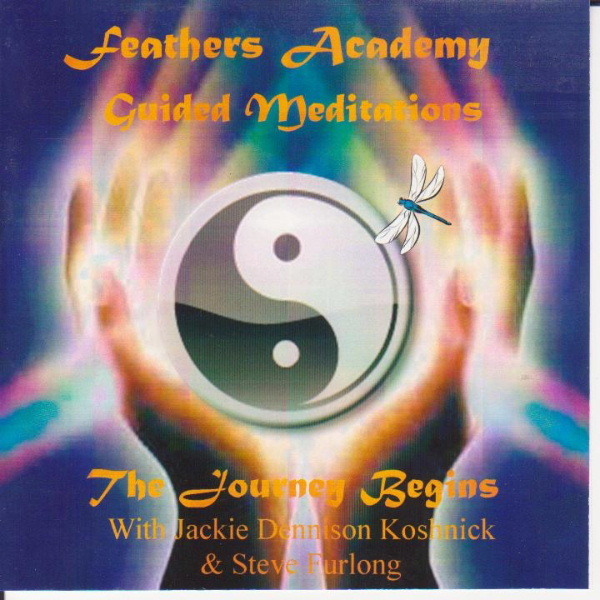 Meditation CD - The Journey Begins is available directly from Feathers Academy priced at £8.99 due to the increase in postage in the UK please now add £2.50 for postage. Postage to Canada is £4.00(for postage to other countries please contact us). Please contact us for postal prices if outside the UK or Canada.